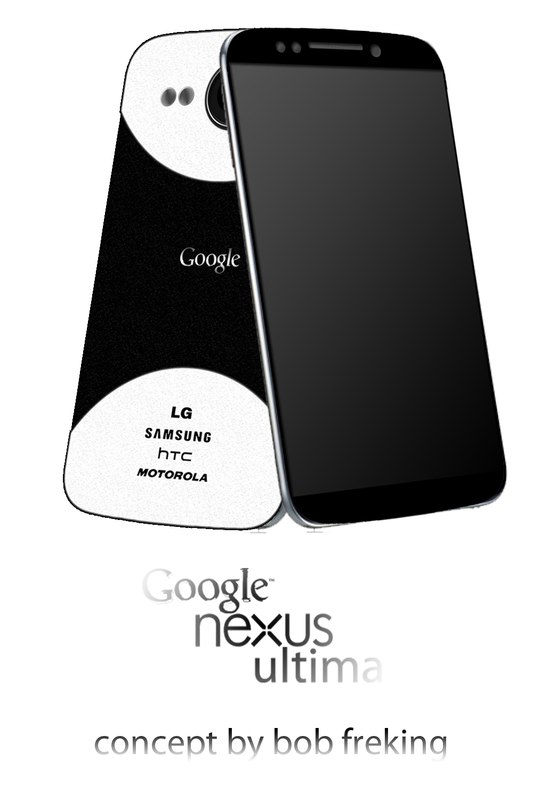 The 4th Nexus Phone comes from Bob Freking, as the Google Nexus Ultima concept shown below and the first phone with Android Jellybean on board. We’re dealing here with a premiere: the first handset made by all 4 major manufacturers from the Android world: LG, Samsung, HTC and Motorola. Android Jellybean also combines the UI features of Touchwiz, Motoblur, Sense and Optimus UI. Each of the manufacturers supplied a component from a field they excel in: Samsung gave the Exynos CPU, LG and Samsung created the display, the camera and design were done by HTC and Motorola is responsible with the build quality and the rest of the features. 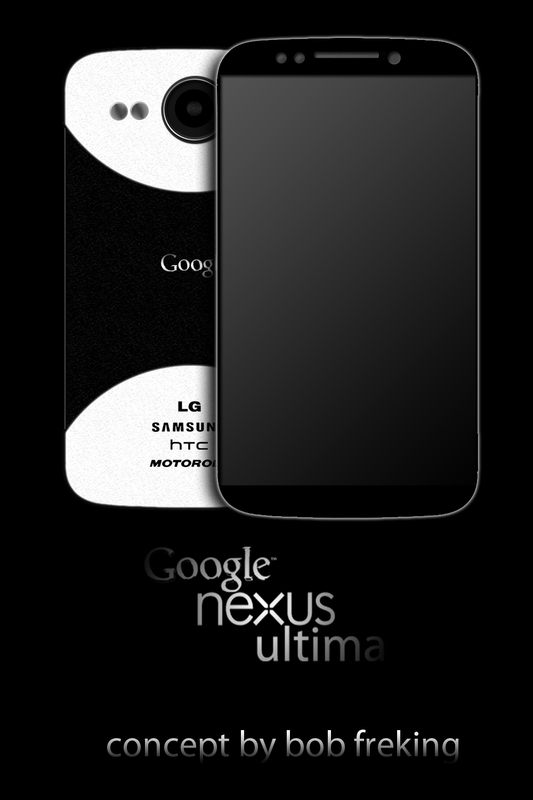 Google Nexus Ultima packs a 4.7 inch RGB IPS+ HD 720p display that generates 1000 nits of brightness. There’s a 2MP camera upfront with 1080p 30 fps capture and a main 13 megapixel shooter with dual LED flash and 60 fps 1080p video capture. The back of the handset is made of kevlar and this 2012 Nexus Phone comes with a steel frame that protects the internals of the device. The CPU of choice here is a quad core Exynos 5250 (Cortex ARM A15 MP core and Mali GPU). There will also be an extreme edition of this handset, with a higher price, a Super AMOLED HD NOVA screen, a 20 megapixel camera and 5MP front cam, all of these protected with waterproof and bulletproof glass. Remember that this is only a concept, that measures 9mm in thickness!